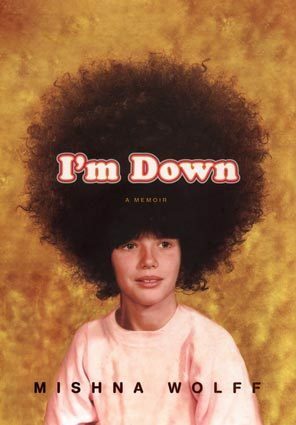 I’m Down is the poignant and extremely funny memoir of Mishna Wolff. (How eye-catching is that cover?!) What’s it like to grow up with a Buddhist hippie mother and a pot-growing father – who totally believes he’s Black, “strutting around with a short perm, a Cosby-esqe sweater, gold chains and a Kangol – even though he is actually White? Ms. Wolff’s memoir examines her childhood in Seattle (and takes on the idea of race and identity), with often hilarious results. She manages to describe an awkward, outsider, cornrow-wearing childhood in a way that is endearing (navigating reduced lunch at her private school and her parents’ shortcomings); her family is poor and she is often hungry, but Wolff comes away feeling that she’s better off than some of her more privileged classmates. Though her relationship with her parents (and her stepmother) is often troubling and disappointing, Ms. Wolff prevails and finds her place in the world. The book leaves the reader wanting to know more about what happens to the Wolff clan long after reaching the last page. Thanks to M. Zeno for the recommendation!